The U.S. economy is booming, right? 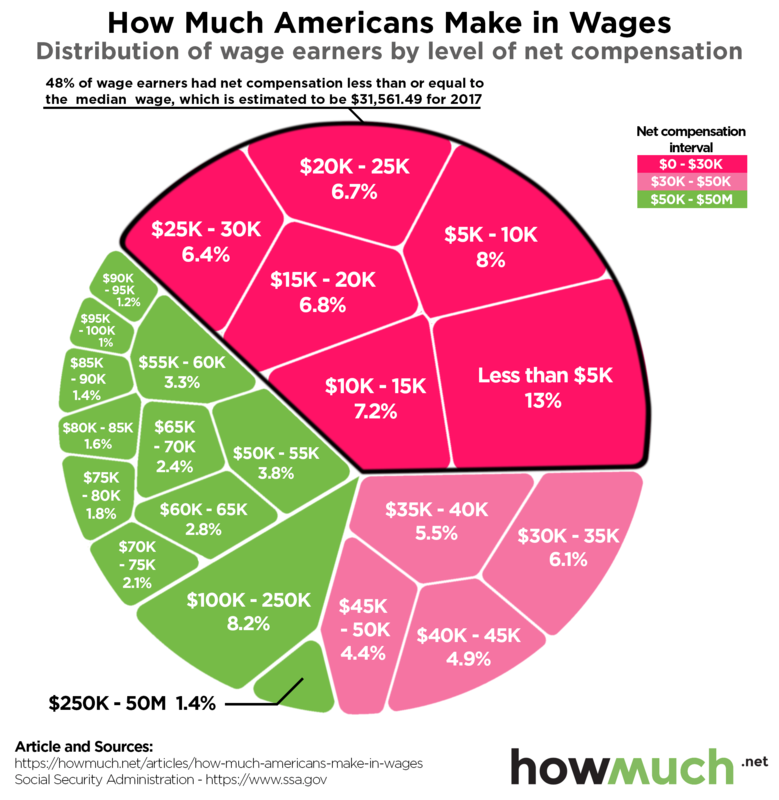 The visualization makes it plain to see that most people take home very little money from their jobs. The federal poverty level for a family of 4 is $25,100, which officials believe is the bare minimum needed to purchase subsistence food, clothing and shelter. To put this another way, the visualization indicates that enormous chunks of the workforce make a substandard wage, putting them at extreme risks if unpredictable financial problems occur. Want to learn more about the true cost of living in your city? Check out HowMuch.net’s dynamic tool.